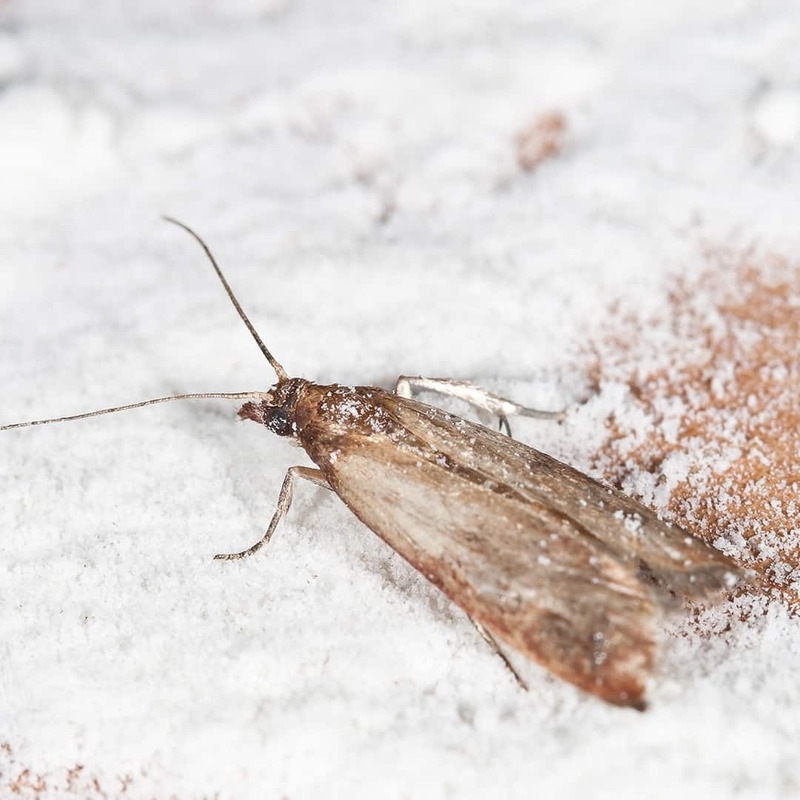 MothKiller.co.uk Blog | Pantry Moths: What you need to know. You are here: Home » Articles & Posts » Pantry Moths: What you need to know. Pantry Moths: What you need to know. The Pantry Moth, also known as the Indian Meal Moth, feeds on dried foods such as grains, wheat, dried fruit, nuts and flour. They are often that small and pale that we cannot see them and may be eating them without knowing. The female moth will lay around 400 eggs in the area, or even on food. When the eggs are ready to hatch, they will transform into larvae and search for a food source. If you discover cobwebs in your food, it is a tell-tale sign that you have been struck by pantry moths. You will need to remove everything from your cupboards and inspect each item thoroughly and dispose of any contaminated food. It is advisable to put any unaffected food in Tupperware boxes or glass containers. There are a number of useful tips and tricks you can follow to prevent pantry moths. Make sure any food spillages are cleared up right away, and the area is thoroughly cleaned after use. Inspect food before purchasing to prevent possible infestation. You will need to look out for webbing in the food or small holes in the packaging. Ensure foods are stored in airtight containers, such as Tupperware boxes, or glass jars with a rubber seal and metal levers.